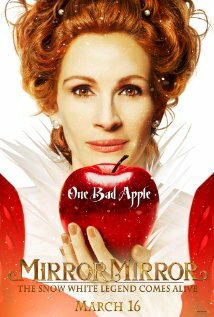 If you think you know the story of Snow White, Mirror Mirror has a few surprises in store for you. Join The Queen (Julia Roberts) as she tells you the story about irritating Snow White, the handsome price and the giant dwarfs. Gather your family around for this silly adventure, and find out who this story really belongs to… The Queen or Snow White. 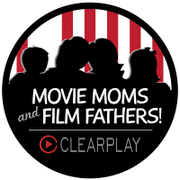 See the Film Father and Movie Mom reviews to help decide if this movie is right for your family. *The Queen doesn’t care that it is Snow White's birthday, but some of the servants in the castle do. They make her a little, surprise birthday cake to celebrate. Bake up some cupcakes and decorate them like Snow White’s birthday cake, or just use icing to write “Happy Birthday Snow” and celebrate along with them. *When The Queen is told that the village people are starving she says, “Tell them that bread is the new meat.” Pick your favorite meat dish and see how you could prepare it with bread instead. You could serve hot dog buns with a rolled up slice of bread instead of a hot dog or make lasagna with bread (or croutons) instead of hamburger. If you don’t think your family would appreciate the joke, serve bread, butter and jam, or a bread buffet. *Serve a meal that associates with some of the different scenes with the dwarfs. Have Now-You-See-Them-Strawberries, Please-Pass-The-Potatoes, and I‘d-Rather-Have-The-Princess-Pancakes. Be sure to have accordion straws to drink out of as well. *Speaking of drinks, have juice for everyone and call it “The Nectar of her Skin” to poke fun at what the Prince said when he was in Puppy Love with The Queen. *When The Queen calls for her “Special Treatment” give your family some pampering as well. Let them soak their feet in warm water for a pedicure, paint their nails or give them a shoulder rub while they're watching the rest of the show. They will enjoy that much more than having bugs crawling on them and bees stinging their lips. *Prince Alcott is struck with a case of Puppy Love. When he starts acting like a Puppy, have your family join in. See who can do the best puppy act by having them whine, bark, sit, and roll over. *Get some of the strawberries from dinner and mash a few of them up or get out the strawberry jam. When the dwarfs help Snow White get ready for her first kiss, let each person in your family spread some on their lips too. Pucker up and get a picture of all those extra sweet faces. *The Queen’s Court plays a sort of Human Chess/Battleship game. Play a game of Human Chess or Battleship if you’ve got enough people, or create your own over sized game of Twister or other board game. *The Queen’s reflection goes after the dwarfs with some creepy puppets. 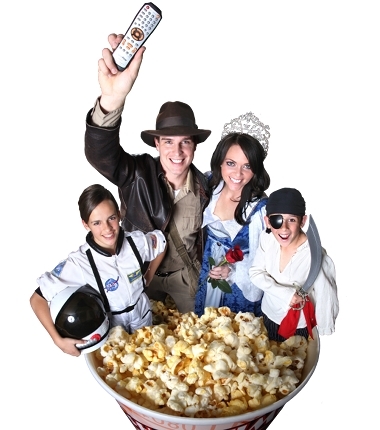 Make some puppets of your own, by using socks or paper bags, or make a marionette like the one in the movie. Put on a puppet show with your family but please do not attack any small villages with your newly created puppets. *At the end of the movie, The Queen’s reflection, her world and her mirror break into a million pieces. Create a mosaic work of art out of lots of tiny pieces of paper to make it look like all that broken glass. *LyndiLou* - Wouldn't Want The Queen’s “Special Treatment”… Ever!